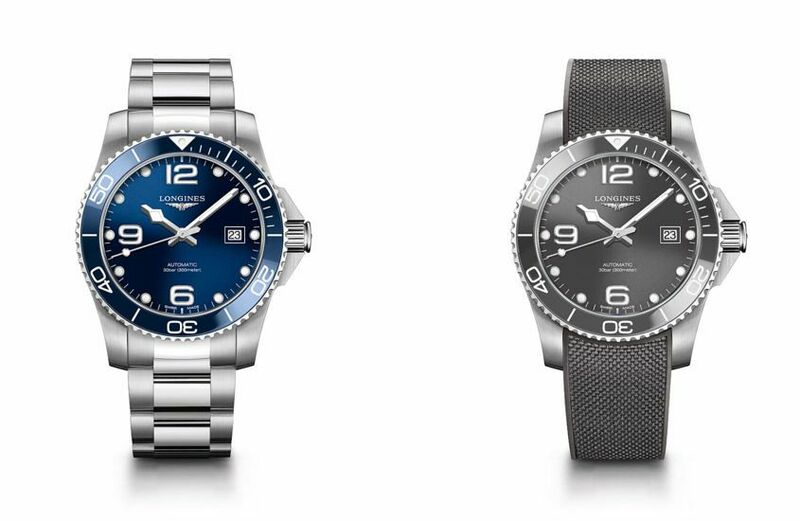 Longines are expanding their HydroConquest collection for 2018 with new models featuring a bezel with a coloured ceramic insert matched to the colour of the dial. 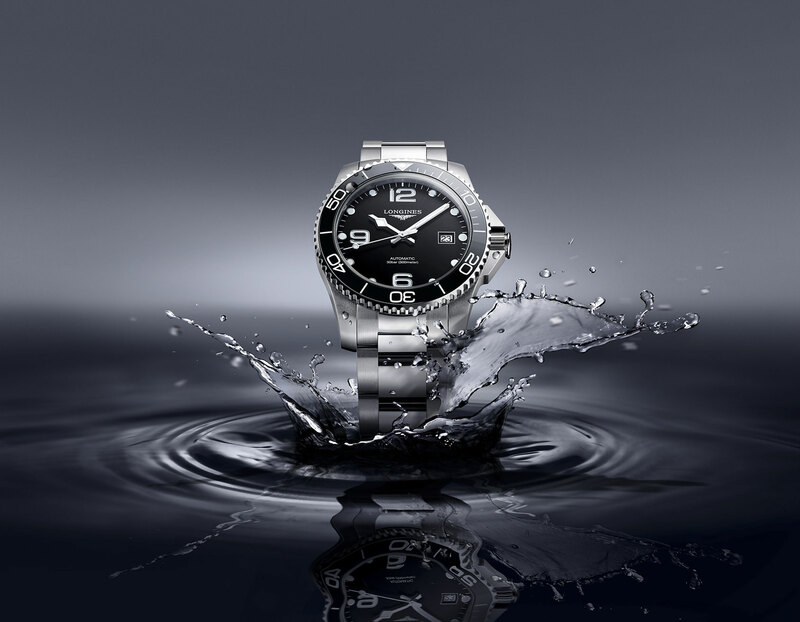 Longines are expanding their HydroConquest collection for 2018 with new models featuring a bezel with a coloured ceramic insert matched to the colour of the dial. The existing characteristics of this collection remain, including water-resistance to 300 metres, a unidirectional rotating bezel, screw-down crown and case back, crown protection, hands and the hour markers applied with SuperLuminova, and a double security folding clasp with integrated diving extension. There are new grey, black and blue sunray dials and a new rubber strap in colours that match the dial, which is said to be more ergonomic and more comfortable. The metal bracelet version combines polished and brushed steel. The new HydroConquest is available in 41mm and 43mm sizes for models with three hands and a calendar, and 41mm for the chronograph model.